Often the worst damage to a home or business caused by water comes after the initial cleanup and water removal. Mold and mildew grow in moist places often where they can’t be seen, such as crawlspaces, under rugs and carpets, behind cabinets and between walls and baseboards. By the time you find it, there might be extensive damage to your home, not to mention your health. 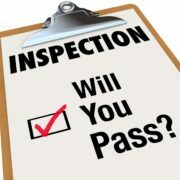 If you think you smell mold, call a black mold removal specialist or water damage restoration company immediately. They can provide industrial strength fans and dehumidifiers to dry out the mold in your home. Gold Coast Flood Restorations in San Diego, CA performs a complete assessment of the mold infested home or office and afterwards decides what techniques to apply to rid the structure of mold. Mold Remediation Repair uses a safe enzyme product to treat microbial growth. Items ravaged by mold are removed from the house. The sub floor is spread with bio-washing chemicals and thoroughly scrubbed to prevent future recurrence. All of these services are carried out with special hi-tech equipment for black mold removal. The tech is capable of treating the air, surfaces, wall cavities & HVAC systems. 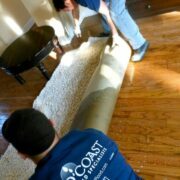 Gold Coast Flood Restorations is built on principles and does well in applying them whenever servicing a client. We stress safety first and our water damage and mold remediation specialists are well trained and equipped with protective gear. 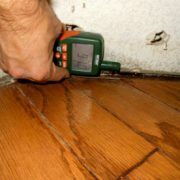 Assessments and testing are launched on mold infested areas and decisions are made on how to control it. First and foremost, these areas are demarcated and sealed using 6 mil thick poly sheets. Air scrubbers and negative air machines with hepa filters will then be engaged during black mold removal service to cleanse the air of microbial remnants. Stachybotrys chartarum is its scientific name, ordinarily known as black or toxic mold. It is one of the most infamous toxic molds because it can grow in houses and is extremely dangerous to humans. Stachybotrys is known as a toxic mold because it produces toxins called mycotoxins which are capable of causing health problems and disease in both humans and animals. Any mold in your house needs to be looked upon with caution– prevent impacted locations and do not touch or disrupt the mold. 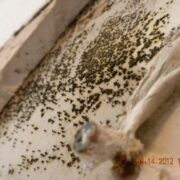 Discover and view images of black mold to help you figure out and prevent toxic black mold. Sinister-sounding and possibly harmful, toxic black mold can strike fear in the heart of any homeowner. But by having the ability to determine black mold and learn the very best methods to prevent and control its growth, you can teach yourself how to keep your home free of toxic black mold. Black mold is more than likely to appear in locations of your home that are specifically warm, damp and moist. Basements or crawlspaces that may have water leaks or other sources of dampness are regularly susceptible to toxic black mold growth. 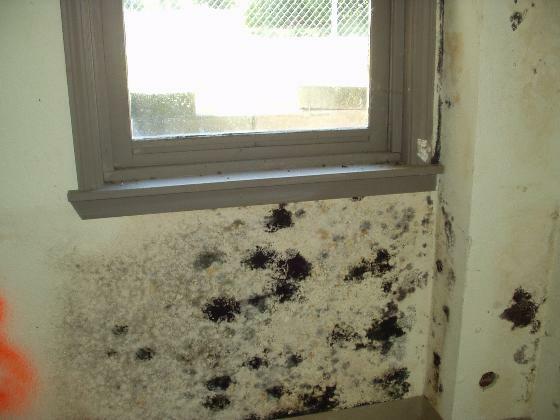 Black mold is readily identifiable by its color. Whereas many other molds are green or gray in color, toxic black mold is a dark black. To resist the health dangers related to black mold, avoiding and controlling mold growth in the house is the best defense. Relieving places of existing mold growth ought to constantly be done while wearing a respirator or mask rated to handle mold spores. Arms, legs and hands have to be covered as well to prevent an allergic reaction. Toxic black mold can trigger disease and cause structural damage to houses, however understanding methods to prevent, recognize and get rid of black mold will provide you the tools to keep your home free of theses toxic types of mold. A water-damaged building requires distinct focus to avoid a mold invasion. Molds produce spores that spread out easily through the air. They form new mold growths (nests) when they discover the perfect conditions: wetness, nutrients (practically anything organic) and an area to grow. 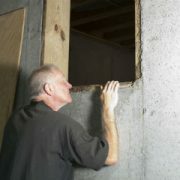 Mold can damage materials and health. The longer mold is enabled to grow, the higher the threat and the harder the clean-up. So as soon as the floodwaters recede and it is safe to return, do not delay clean-up and drying. Depending upon the degree of the water damage, you may have the ability to look after it yourself. Smaller water problems need only fundamental DIY suggestions, like drying the area and using products that are especially designed to kill mold and mildew. Fans directed at the moist area can make it dry quickly and efficiently. So can running the heating system in your home, considering that it dries out the air. You might also attempt using a hair dryer on the place if it’s a small location. There are items produced for safeguarding a location from mold and mildew, too, including sprays and paints. Even if you dry out the location thoroughly, you’ll still want to think of using one of those products ensuring you do not let mold begin to develop. Repainting the location with a mold-stopping paint can be an exceptional strategy, relying on the size of the location. You can constantly do that, allow it to dry, and repaint over that with a color that matches the space.